A Medical Council fitness to practise inquiry heard the patient, Mary Hughes, was in severe pain before she received a diagnosis two years after her initial symptoms began. She died from the disease in May 2011, seven months after the eventual diagnosis. The committee of inquiry found Dr Mukhtar El Siddig Awadalla (53) had failed to properly carry out a procedure in May 2010 which could have led to an earlier diagnosis. It rejected the doctor’s defence that any tumour may have been too small to detect at that time. Ms Hughes, a mother-of-four from co Longford, suffered from a number of medical conditions, the inquiry heard. She had a good quality of life until 2008. At that time, she began to suffer from bleeding and abdominal pain, and her health deteriorated. In March 2010, when Ms Hughes was 80 years old, she met with Dr Awadalla. The inquiry found that Dr Awadalla had failed to arrange a hysteroscopy in a timely manner but that there were “clearly deficiencies in the procedure for making such arrangements”. As a result the committee said it does not regard the failure as serious. A hysteroscopy was eventually performed on Ms Hughes on May 14, 2010. It was alleged that Dr Awadalla failed to pay attention to Mrs Hughes’s endocervical canal, where a tumour may have been located. The committee found that it constituted poor professional performance. It said an ultrasound and bleeding indicated a tumour was present. It also found Dr Awadalla guilty of failing to take a biopsy during the procedure which could have led to an earlier diagnosis of the cancer. 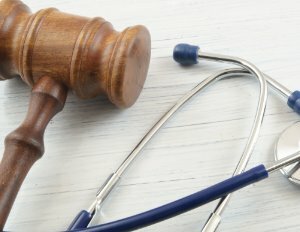 The committee also found the doctor failed to keep adequate notes in relation to the patient but ruled that this breach was not serious enough to count as poor professional performance. The committee will now make a recommendation to the Medical Council on the appropriate sanction.